Are you growing bored of your city’s regular grey, linear buildings? 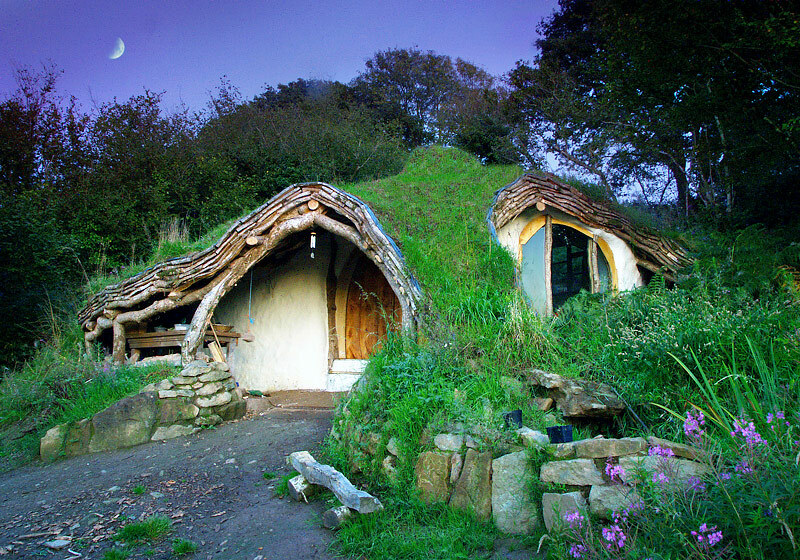 Then you should definitely check out these astounding architectural creations. 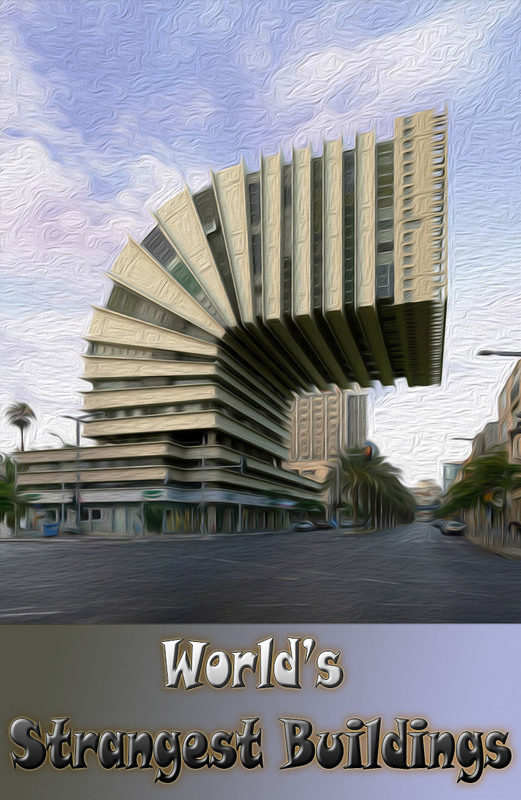 And, even if the place you live has some astounding architecture of its own, you can still enjoy this list of 12 world’s strangest buildings. The name of this residential complex translates to “forest spiral” in English, reflecting the general plan of the building and its green roof. On the outside, some of its most notable features are the tower that resembles Russian onion domes, an absence of straight lines and sharp colors, and the multicolored painting of the building. 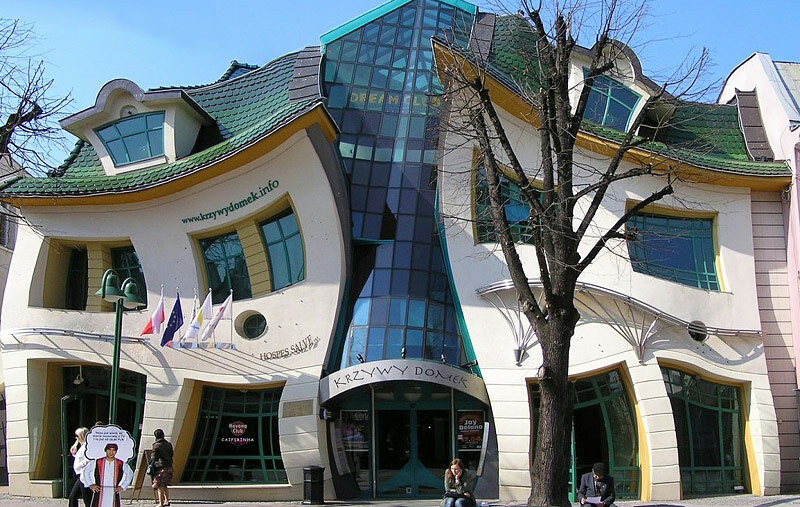 Its Polish name meaning “crooked little house” in English, this irregularly shaped building is part of the Rezydent shopping center. It was designed by Szotynscy and Zaleski, who were inspired by fairy tale drawings – can’t you tell? 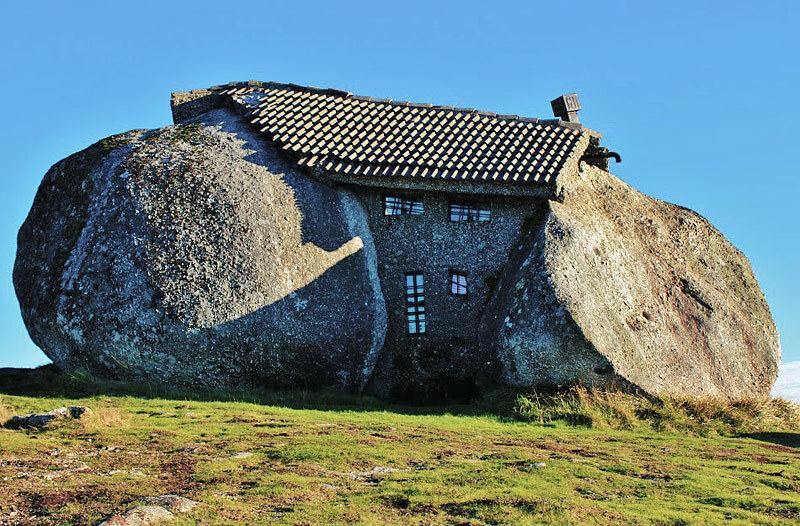 Located in the Fafe Mountains of Portugal, this two story house is built between 4 large boulders. The property includes many amenities, including a fireplace and swimming pool. 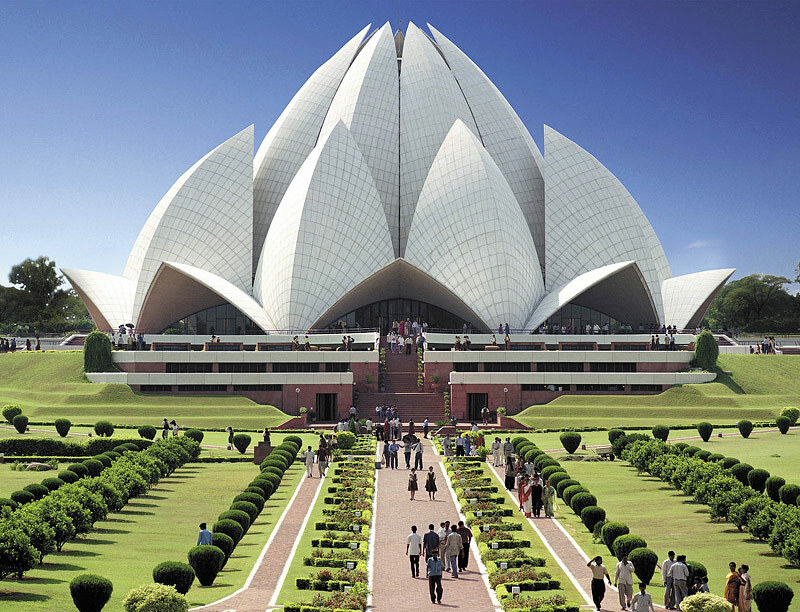 The Lotus Temple is a Baha’i House of Worship in India. Its renowned flower-like shape has won it numerous architectural rewards. 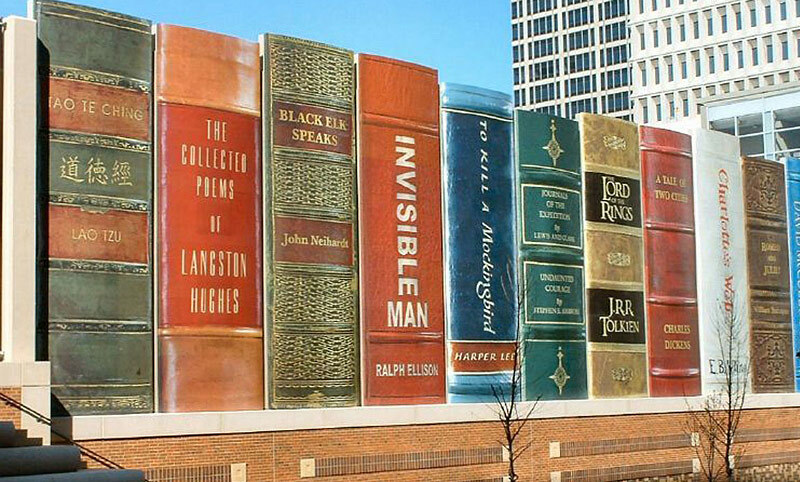 One of the most striking features of the Kansas City Library in Missouri is the “community bookshelf” that runs along the south wall of the parking garage. The book spines measure 25 by 9 feet and reflect a variety of reading interests, all suggested by Kansas City readers. 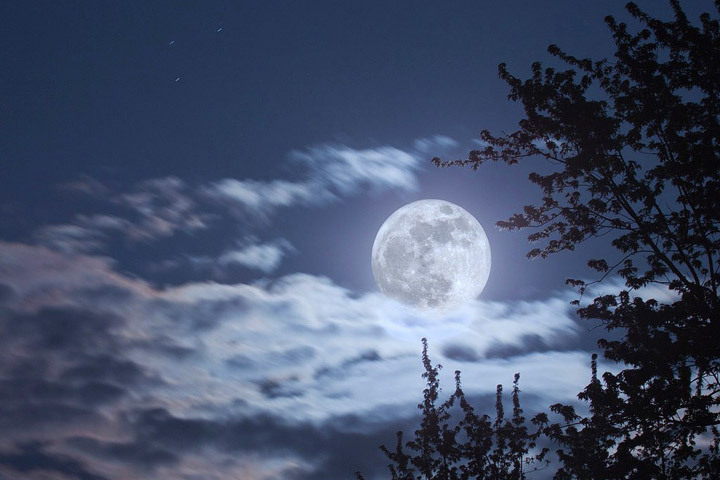 Some of the titles include: Romeo and Juliet, The Lord of the Rings, The Collected Poems of Langston Hughes, Tao Te Ching, and Fahrenheit 451. This house was built by a man for his family and completely constructed by him, his father in law, passer-byers, and visiting friends. It was dug into a hillside for low visual impact and shelter, and straw bales were used in the floor, walls, and roof for instillation. The fridge is kept cool by air coming underground through foundations, and solar panels were installed for music, lighting, and computing. 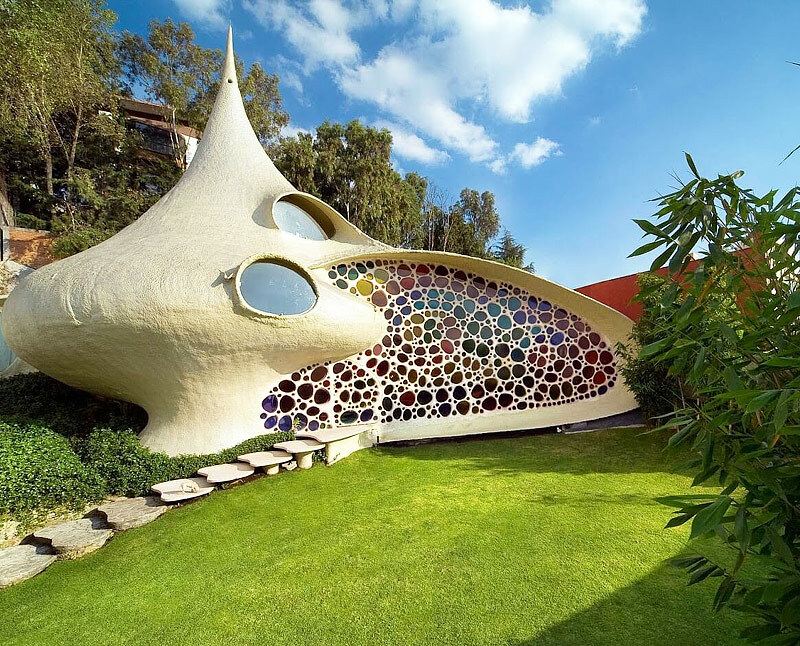 This sea shell shaped house was built by architect Javier Senosiain. It was constructed to be a livable home and features smooth surfaces, spiral stair cases, and natural paintings. 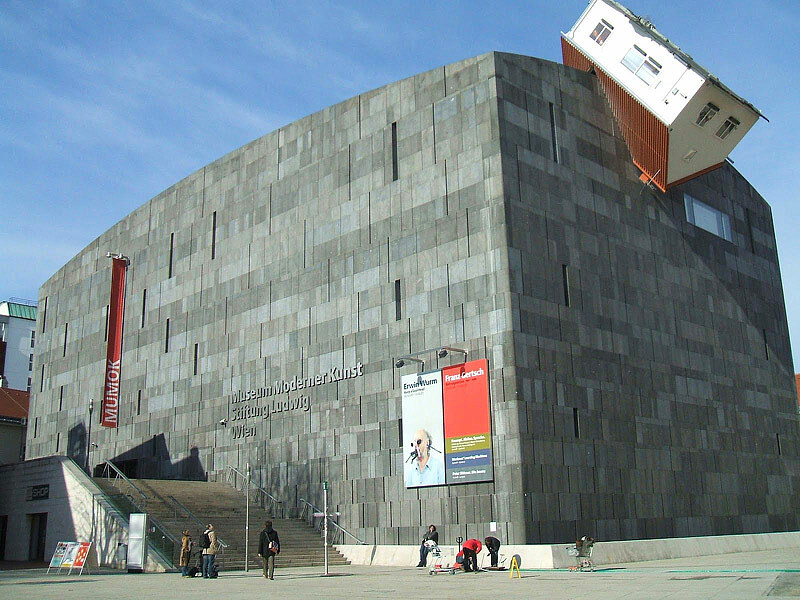 The Museum Moderner Kunst in Vienna has a large collection of 20th and 21st century modern art, but you hardly need to step inside to see a piece of it. The building’s exterior features a small family home wedged onto its roof. 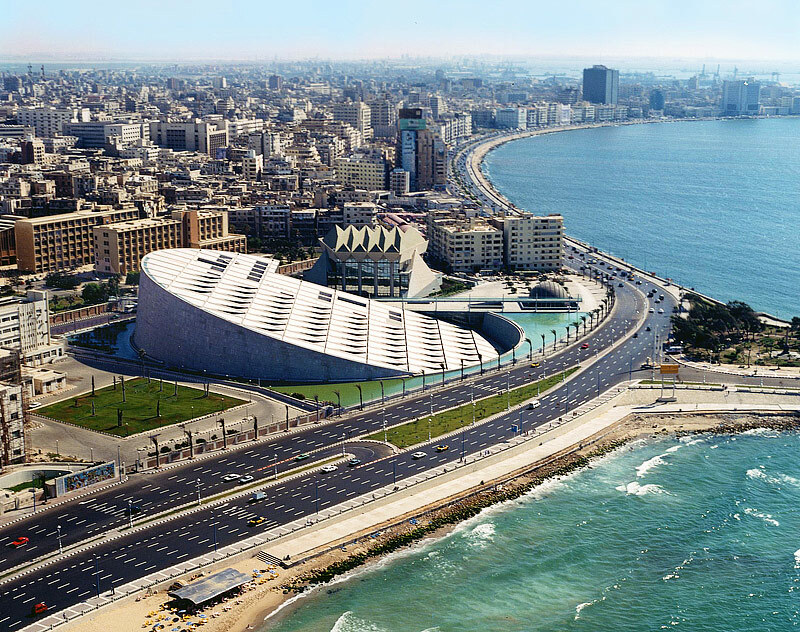 This major library and cultural center is located on the shore of the Mediterranean Sea. It resembles an angled discus or giant sundial. It was created to reincarnate the famous ancient library of Alexandria, which held the largest collection of manuscripts in the world but burned down in the 3rd century. 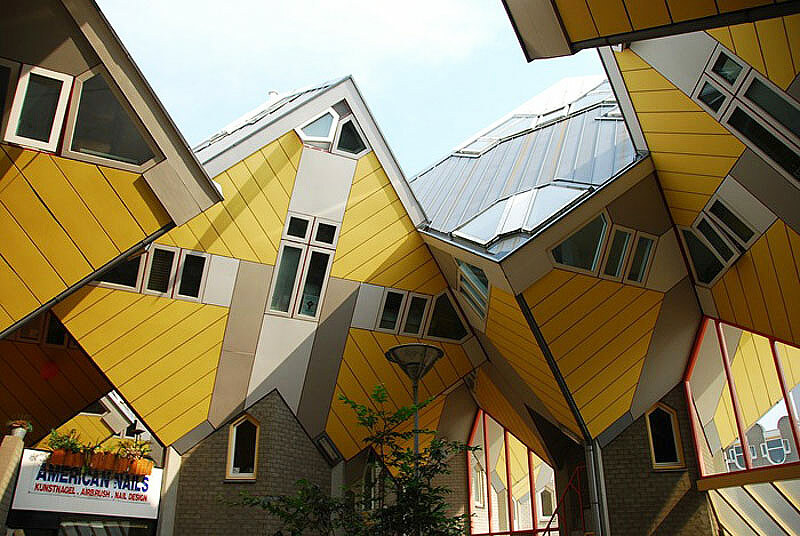 The Cubic Houses in Rotterdam were constructed by Piet Blom in the 1970s after he was asked to solve the dilemma of building houses on top of a pedestrian bridge. His concept behind it was to create a forest of houses, with each cube representing an abstract tree. 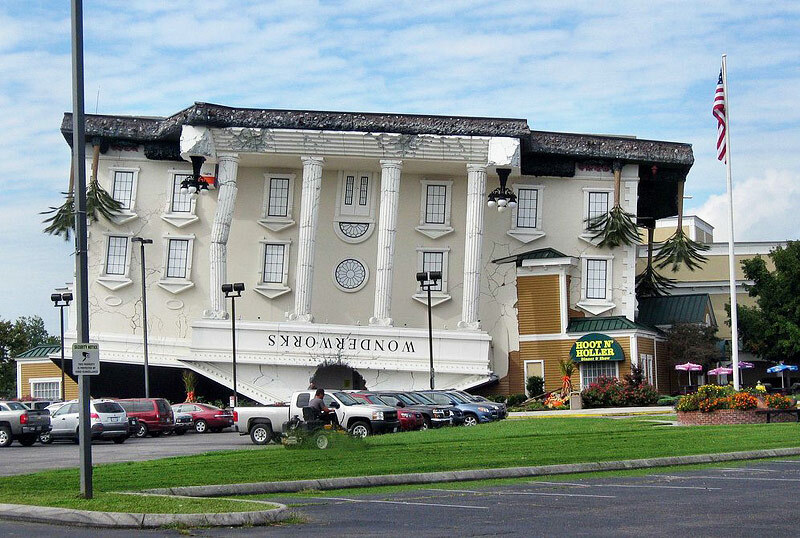 Wonderworks is a local attraction in Pigeon Ford, Tennessee. It’s primarily an entertainment center focused on science exhibits. It was designed to look as if the building was picked up by severe weather and dropped upside down on an existing building. 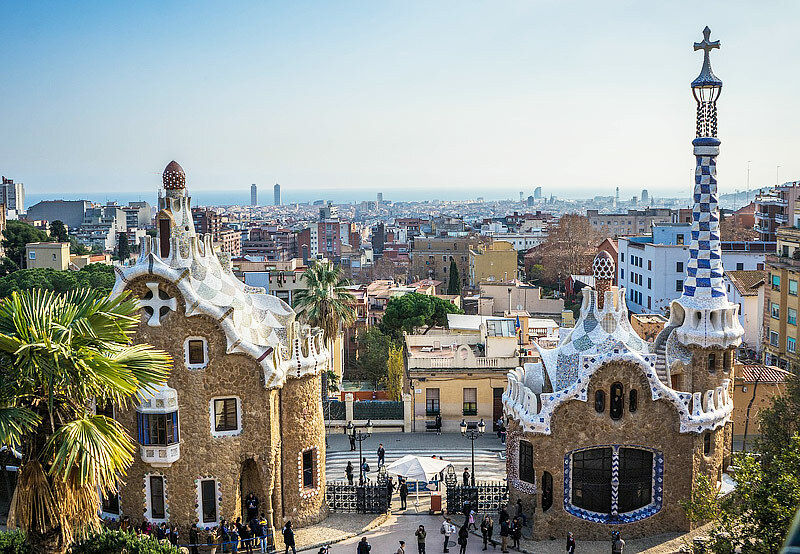 Park Guell, just a few steps away from Gracia, is one of the most popular attractions in Barcelona and a prime spot to check out some of Gaudi’s amazing creations. One of his most popular works is Mind House. 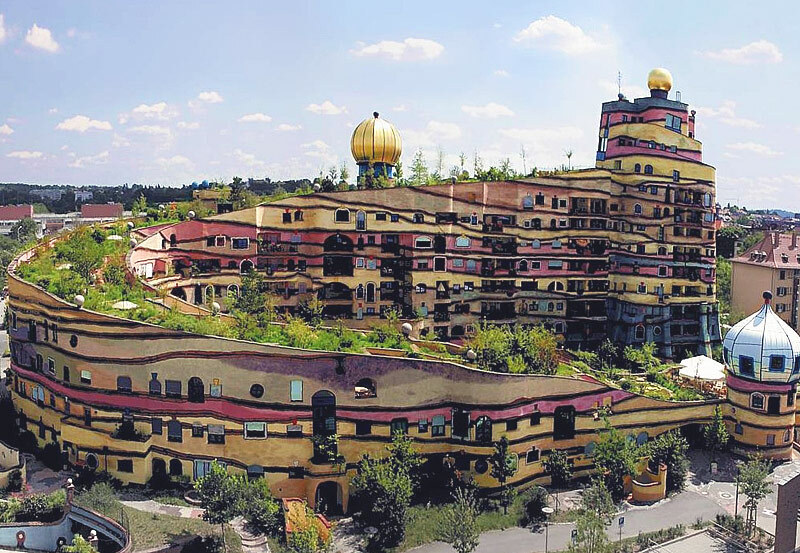 It’s so impressive that it’s been named one of the top 10 creative buildings in the world.